A lot of people will raise their eyebrows to the roof if someone talks about the amazing weight loss benefits of yoga. “No pain, no gain!” is what they’ll say. Yoga is “too passive”, “too gentle” to show any results they’ll tell you. But the truth is, they couldn’t be more wrong if they tried. Weight loss with yoga is not an urban myth. It’s not a fitness fad either for those tend to be alarmingly short-lived. Yoga is a science that optimizes the flow of energy and balance in both mind and body. “But I don’t even break a sweat when I do yoga!” some may observe. Yes, you don’t. But you need to think beyond your intuitive association of fat loss with calorie burn, cardiac overstimulation and sweating. Not all modalities of fitness rely upon that method. Yoga surely doesn’t, so let’s look into how it works. You could read up on the oodles and oodles of research that offers quantitative evidence of yoga’s efficacy at weight loss. But perhaps understanding the logic behind it more important. 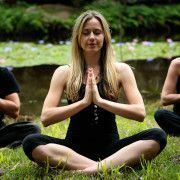 Yogic practice has the capability to alter the brain’s functional capacity. It enlarges the stress-regulating hippocampus as well as focus-controlling superior parietal cortex. When your stress levels are well-managed and you’re less prone to distraction, your eating habits and diet improve. Binge eating becomes less frequent and metabolism is revitalized. Breathing exercises also ensure your food is digested optimally and nutrients are stored appropriately with minimal fat gain. Add to this the fact that yoga asanas entail challenging bodily balance and alignment practices, all of which mobilize muscles, helping them grow and toning your body. And advanced practitioners who perform more difficult asanas even report sweating and shortness of breath, the same way as cardiovascular exercises produce. 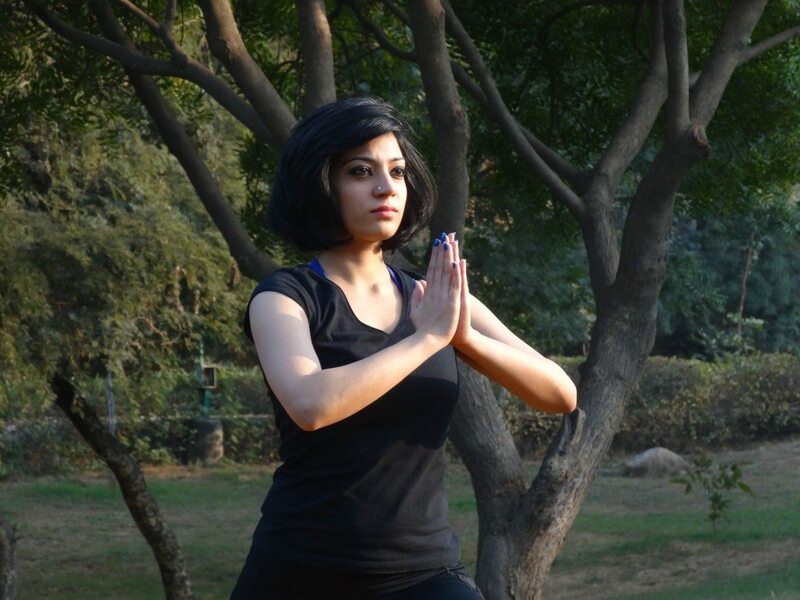 Well, then have a look at the numerous personal accounts and genuine testimonials from people who claim to have shed pounds and kilos of weight with just half an hour of regular yogic practice. One can dismiss research as fabricated, but what’re you going to say to those who vouch for the weight loss effectuality of yoga with their bodies as physical testimony? The fact of the matter is that yoga is an ancient lifestyle philosophy which is all the more suitable for a modern generation of urban-dwellers for it targets not just the body, but also the mind. Why some people resist the allure of yoga is because they feel it’s not exciting enough for them. Yes, it is no bungy jumping but it can be greatly enjoyable as well. Apart from the fact that it invigorates the mind and alters its landscape to a happier one, it can be fun in the performative sense too. Group classes, couples’ sessions and agro yoga are good options for those who want a different kind of experience, something new, something off-beat. The bottom line is, if you’re a sceptic too, don’t base your belief on assumptions. Go ahead and give it a try. And when your body begins to transform, make sure to give yoga due credit; be a proud convert!